JACOB Morrow who rides for the Lecale Riding Club, East Down Pony Club and the Down High School riding club, is on a high after scooping up several top gongs on the Irish team at the Home International competition. 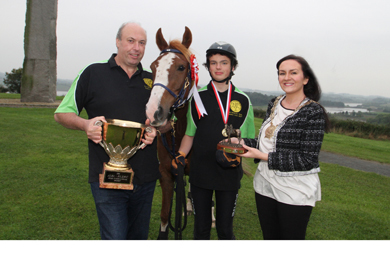 Jacob Morrow (13) from Killyleagh, centre, the Home International Junior Champion, with David Cunningham, manger of the Irish Long Distance Riding Association team holding the Home International Cup, and Down District Council Chairman, Cllr Maria McCarthy. The Killyleagh rider is only 13-years old and shone through a very competitive field to become the UK Top Junior Champion. He also won his 50-mile endurance race, and received a Grade 1 for riding his 7-year old gelding called Tambo and was part of the Irish team that lifted the coveted trophy. Jacob was selected on to the Irish Long Distance Riding Association team and travelled to Barbury Castle in Wilstshire in England at the end of August which hosts a popular venue for these competitions on the rolling chalk hills. He was up against 300 entrants and said: ” I never realised that I could do it. It all was quite daunting but I just focussed on the job in hand and Tambo performed so well. We are a great team. “It was a tremendous experience to be part of this event. The competition was quite stiff and I think it was all the training we had done at Delamont Park. It is such a great place to ride around and Tambo just loves it there. He is an Anglo Arab / Arabian Appaloosa and has a great temperament. 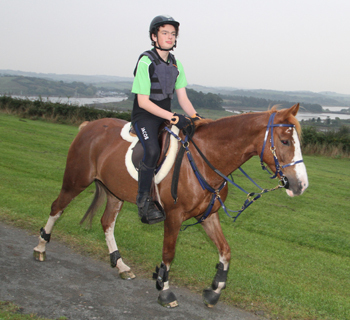 Jacob Morrow (13) riding Tambo at Delamont Country Park. Simon Boyle, Delamont Country Park manager, said: “I am delighted that we have an international champion on our doorstep. Jacob trains here regularly and this is an ideal venue for him to exercise Tambo. David Cunningham, manager of the ILDRA team, also was over the moon with winning the international award in the face of stiff competition. “All six of our team were successfully home and it was brilliant to see Jacob on Tambo perform so well to take the prize for being top junior rider in the Home International. On the Saturday, the weather was poor as the rain started but the novice rider son the Irish team were able to ride out with more experienced riders. INto the second day, all horses passed the vetting test except James Morrow’s horse, Archie, which was involved in a slip. 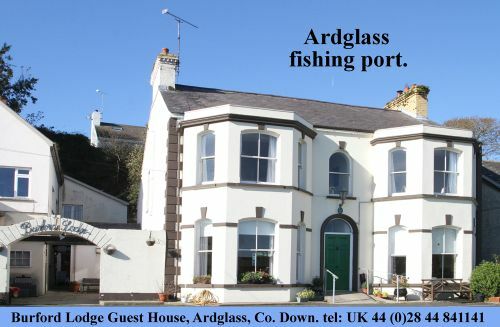 As the second day’s event unfolded, the result was going to be a close cut thing but it was the Irish team that prevailed.